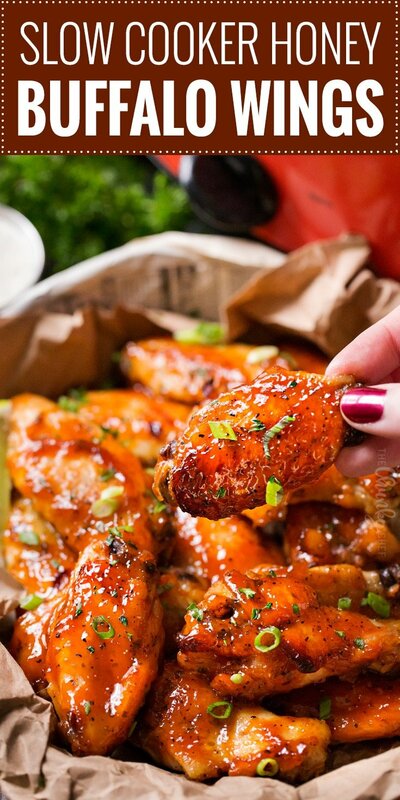 Make buffalo wings the easy way, by cooking them in the slow cooker! Made stress-free and loaded with mouthwatering finger-licking flavors, this recipe is perfect for homegating with the Crock-Pot® brand! Are you ready for some serious homegating? Try your buffalo wings in the slow cooker and watch how quickly they disappear! Plus, they’re hands-off, so you can enjoy the game and your guests! 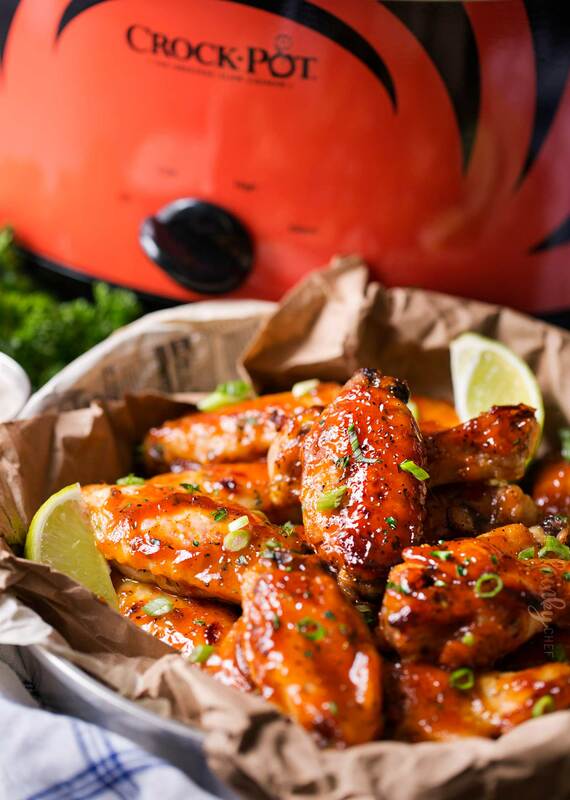 When I think of great game day food, there’s one quintessential food that everyone loves and asks for… buffalo wings! There’s something so tempting about those little bites of crispy, sticky, juiciness… so deliciously spicy and just waiting to be dipped in some ranch or blue cheese dressing! Today I’ve partnered with Crock-Pot® brand to bring you this incredibly appetizer recipe! True, there’s no dainty way to eat buffalo wings; at least not that I’ve seen or tried. You just have to go for it, with sticky hands and usually some sauce on your face. It’s so worth it though! I know there are a LOT of chicken wing flavor combos out there, but my all-time favorite is the honey buffalo flavor. I love buffalo sauce, but sometimes it can be overpowering, and a bit too spicy. The honey comes in and just mellows it out, not to mention it helps the sauce caramelize beautifully when you broil them! 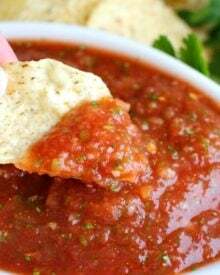 Just as there are a lot of sauce flavors out there, there are also quite a few cooking methods. There’s the classic fried, there’s broiled, baked, and my new favorite, the slow cooked method! Who knew making chicken wings could be SO easy!! 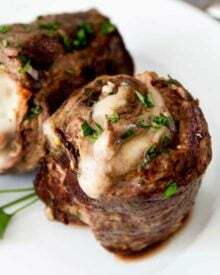 I love a great appetizer that I can pop in the slow cooker and forget about for a couple of hours. 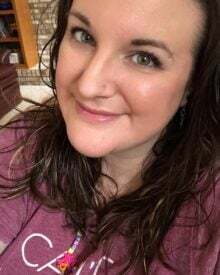 Usually when I’m hosting a homegating party (or any party for that matter), there are what seems like a million things to do, and babysitting an appetizer for hours just isn’t on my to-do list! I can serve food right out of this slow cooker during a party… which means less dishes to wash… and it looks beautiful! It has all the great Crock-Pot® Slow Cooker quality you’ve come to expect from their products, plus I LOVE the NFL logo. You can also get your favorite NCAA team logo! 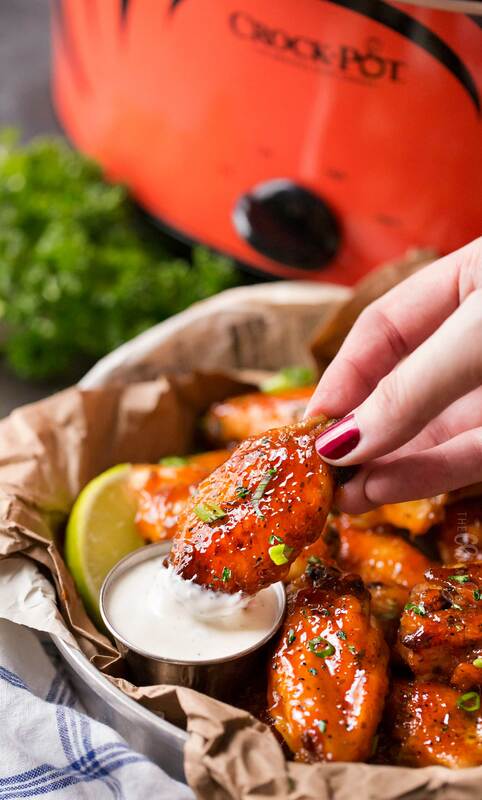 For a true saucy consistency to the buffalo wings, just cook in the slow cooker and serve; but if you want a truly sticky glaze, there’s a little work at the end. No worries though, it’s not super time consuming, and once it’s done, you can pop the glazed wings back in the slow cooker on warm for the party! As far as what to serve these honey buffalo wings with, the sky is the limit! Traditional carrot and celery sticks, blue cheese sauce, ranch dressing, lime wedges, green onion garnish… you really can’t go wrong! My personal favorite is blue cheese sauce, but my family is hooked on ranch dressing, so we usually end up with both. The next time you’re hosting a game day party (homegating for the win! ), give these easy slow cooker honey buffalo wings a try! You’ll love how easy they are, plus how amazing they taste! 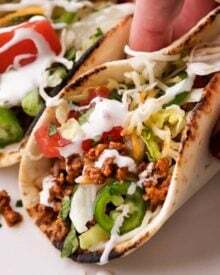 With this recipe and your Crock-Pot® Slow Cooker, your homegating party will be a huge success!! WANT TO TRY THESE SLOW COOKER BUFFALO WINGS? Make buffalo wings the easy way, by cooking them in the slow cooker! Made stress-free and loaded with mouthwatering finger-licking flavors! 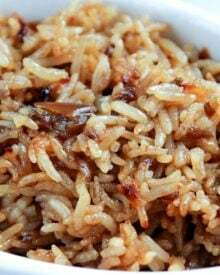 In a small mixing bowl, add rub ingredients and stir to combine thoroughly. 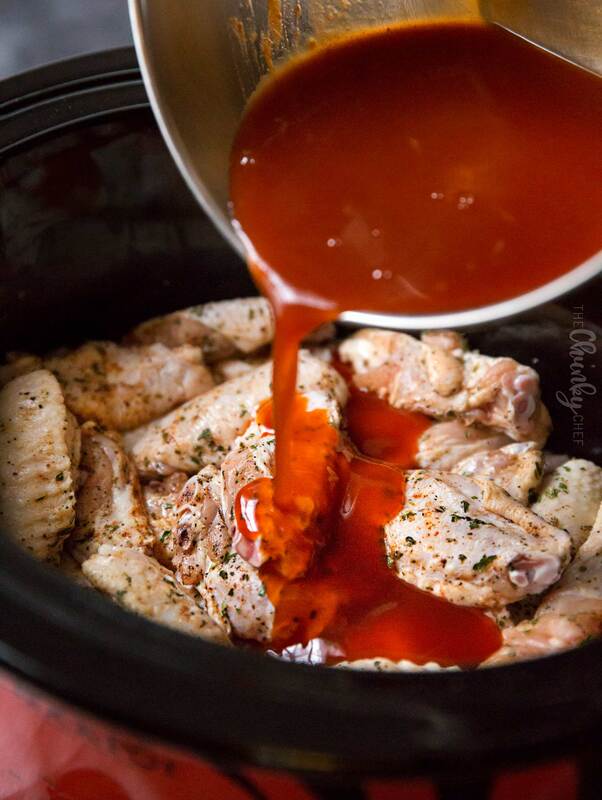 Spray slow cooker with non-stick cooking spray and add chicken wings. Sprinkle rub over the top and use hands to massage the rub into all the chicken wings. I like to use nitrile gloves for this - easy clean up! In the empty rub mixing bowl, add sauce ingredients and whisk to combine well. Pour over spiced wings and toss gently to coat. 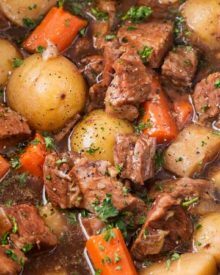 Cover slow cooker and cook on HIGH for 2 hours, or on LOW for 3-4 hours. Cook slow cooker recipe as directed above. Line a baking sheet with 2 sheets of aluminum foil, then place an oven safe wire cooling rack on top. Place cooked wings on cooling rack, then pour sauce from the slow cooker into a saucepan. Add 2 Tbsp cornstarch and 2 Tbsp of water to a small bowl and whisk to combine well, then pour into sauce and whisk. Cook over MED-HIGH heat until boiling, then reduce heat to MED-LOW and whisk as it cooks. Cook about 5 minutes, or until thickened to desired consistency. Brush wings with thickened sauce, then broil on HIGH for 2-3 minutes, until the sauce caramelizes a little. Brush with more glaze and broil another 2 minutes. Repeat this one more time and you should have perfectly sticky wings! 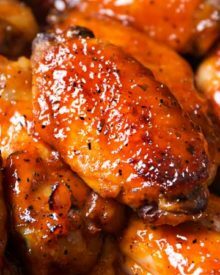 Frozen wings can also be used, but the sauce in the slow cooker after cooking will be more watery, as most frozen chicken wings are ice glazed (each wing has a thin glaze of ice over it, so they don't stick together as much in the bag). For best results, thaw frozen wings before cooking. If cooking from frozen, cook time is 3 hours on HIGH and 4-6 hours on LOW. Can I use regular paprika instead of smoked paprika? You can, it will have a slightly less smoky flavor. Yes absolutely, they’ll still cook through. If you want to get them sticky and crispy though, you’ll have to do the optional broiling step where the wings are side by side on a baking sheet. This looks amazing!! But I’m only making this for 2 so I was thinking of halving the recipe….does that work? How long should I leave it in the slow cooker in that case? Thanks so much! I haven’t tested this recipe halved, so I can’t say for certain, but I would think the cook time would be pretty close to the same. Am definitely goin to try these. But what kind of wings did you use? I bought some chicken wings and it looks nothing like yours!! Boneless skinless? Mine were standard frozen chicken wings (bone in, skin on). 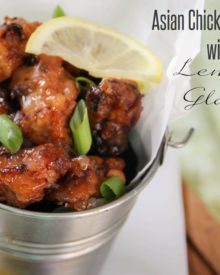 I tried this recipe with frozen wings. Cooked them on low for 7hrs overnight. I did not thaw them out. For the sauce I substituted the Frank’s original with Frank’s Extra hot. And when it came time to thicken the sauce I removed the wings and then added cornstarch directly into the crock and whisked until it became thick. I’ve omitted the broiler step and the wings came out as expected. It was good and very mild heat. Not what you would think of as Buffalo hot wings but flavorful. Next time I do this recipe I’ll set some more time to broil them as I do prefer a more crispier outside. Hi! I tried these last year for the super bowl and everyone loved them. Truly a wonderful recipe, my question for this year though, what cooking mode do you prefer, high or low? Thanks again! I haven’t tested that, so I can’t say for certain how it would alter the flavor. Can I double this recipe? Will it change the time in the slow cooker? I haven’t doubled this recipe before so I can’t say for certain, but I would think adding an additional hour or so would work. Do you think these will be ok if I cooked them in the crockpot, put them in fridge, then did the sticky glaze step the next day? I would like to make this for our NYE party tomorrow night but we rather have boneless chicken wings. Will this recipe work for boneless? Do I need to do anything different for the boneless wings? Thanks. I’m taking this to a NYE party tomorrow night and I want to keep them hot in the slow cooker at the party. Is the broiling step necessary? If you want crispy/sticky wings, it’s a necessary step. But if you want, you can broil them, clean out the slow cooker insert, then add the broiled wings back to the slow cooker and keep on low or warm during the party. I ended up using frozen wings so as the author described, there was a lot of liquid in the Crock-Pot so I made a second batch of sauce mixed with the water/cornstarch and reserved it until the wings were done (3 hours on high from mostly frozen). Once cooked, I patted the chicken dry and put in foil pans and poured the reserved sauce over them and broiled as described in recipe. They turned out so great and looked just like the picture. I will be making these again soon! What kind of molasses did you use? I have never used molasses to cook before. Have mine in the Crock pot now on low !! Do I need to stir them at all?? I tried this recipe. The sauce was rather tasty but wings did not look anything like the photo. Meat from the crockpot really softens on the bone so meat was slightly coming off giving it more of a baked flavor. “Carmelized” end up being more like crisp due to the broil setting. Photo is rather misleading compared to the outcome. I assure you the photos I put here on my site are taken from the recipe. I would never mislead people that way. Maybe your crockpot cooks at a higher temperature than mine does… unfortunately there are a bunch of different variables here. They look delicious! Could you also put the wings on the barbecue after cooking them in the slowcooker? Hi Patricia 🙂 Oh yes, that would be an excellent way to crisp them up! This is my second time making this and I must say, IT IS GREAT. I made an extra batch of the spice rub and put it in a baggy. I will try it with my chops tomorrow. OMG! Did I say how GREAT these wings were? The first time I made these wings, my mother was down visiting and she loved them. 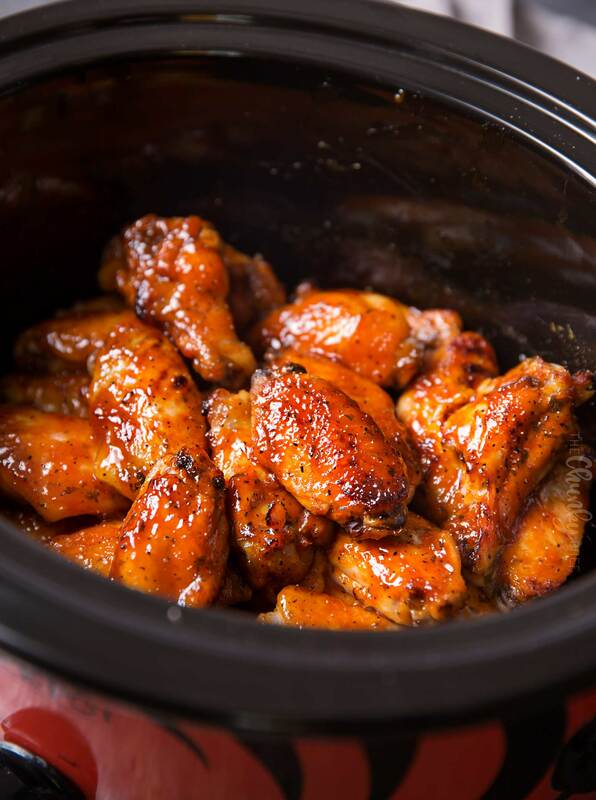 Do you boil or cook the wings before you place them in the crockpot? I have seen recipes that call for 6 hours cooking time. 3 to 4 hours is not long. Thanks? Also would the time increase if we had more wings? Nope, no pre-cooking necessary 🙂 As noted in the recipe, if you’re using frozen wings, then cooking time will be increased, up to 6 hours total. I’ve never cooked more than the amount specified, so I can’t say for sure. I have these in the slowncooker right now and will post later. These wings were the hit our tail gate party. Thanks for posting. I just made these! Doing a “trial run” for a dish to bring to the super bowl party this Sunday, I’ve never made any type of buffalo wings, I’m not even a big fan of them. Absolutely love these wings, a great mix of spicey & sweet! I did the extra part putting them in the oven on broil, highly recommend doing that. 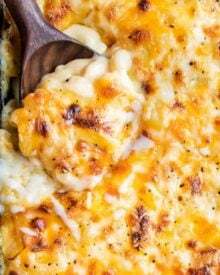 I will be doubling this recipe for Sunday’s game! Did you then put them back into slow cooker to serve? I want to bring to a super bowl party as well and wondering if I can just bring the crock pot for serving so they stay warm. Thanks! In crockpot now. Will post pics when finished. Cant wait! Yummy!! Messy!! Definitely a keeper. Do you use the sauce from the slow cooker to make the sticky glaze? In the slow cooker now! Will post again when done. Can not wait! Do you cook the wings with sauce in slow cooker for sticky wings also? Hi Gloria 🙂 Yes, you cook the wings as directed in the recipe (in the slow cooker with sauce), then do the extra steps at the end for the sticky glaze. So perfect for game day! Looks amazing. These look yummy! I am going to try one! Thanks! Slow cooker is such a life saver! And I love slow cooker meals! Anything made in a slow cooker will always have a place in my cookbook. I love the pairings of flavors for the sauce. ooh!!! look so delicious. It’s tempting a lot. Thanks for sharing the recipe. These look amazing, and they’re perfect for gameday! I loved that you pared the hot sauce with molasses and honey! Perfect combo! Oh my gosh these look so good! I have got to make them for our next Football gathering!